Young Ashley knows all there is to know about legends and mythology. 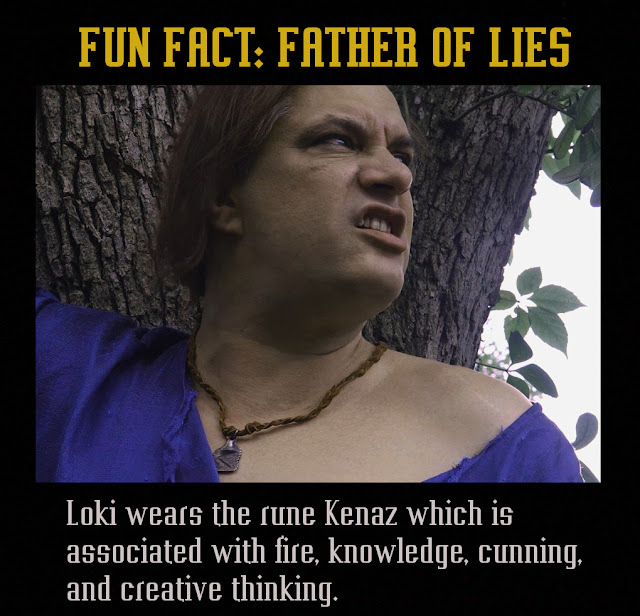 Or at least she thinks she does. 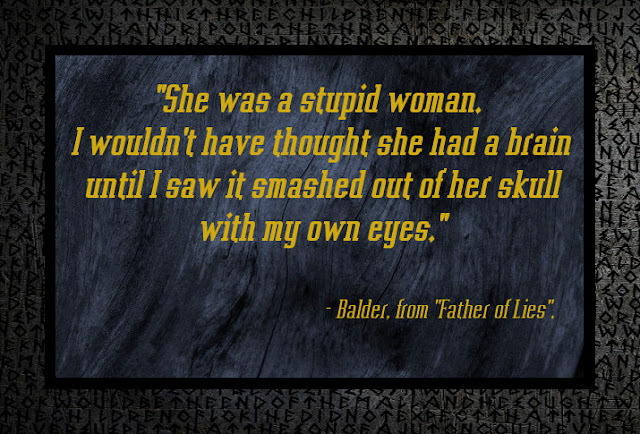 She's about to be tested on that. 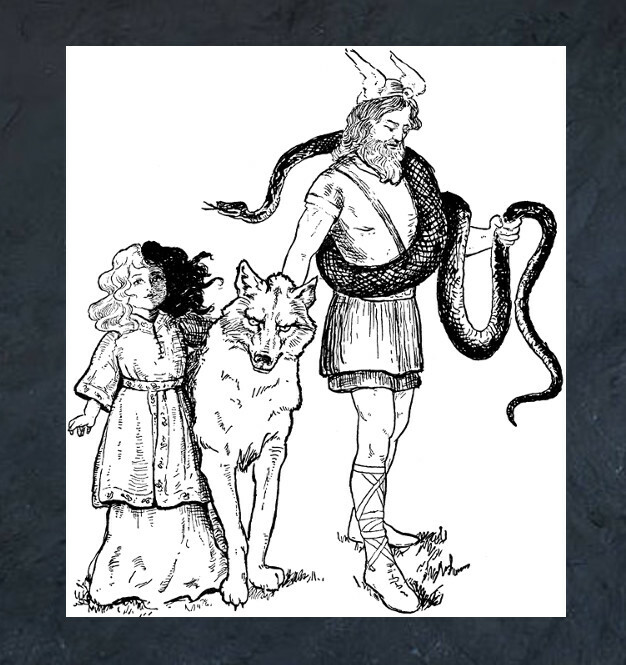 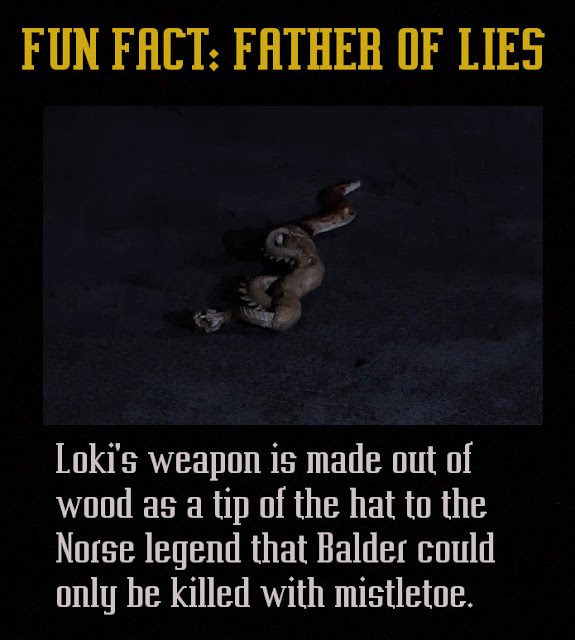 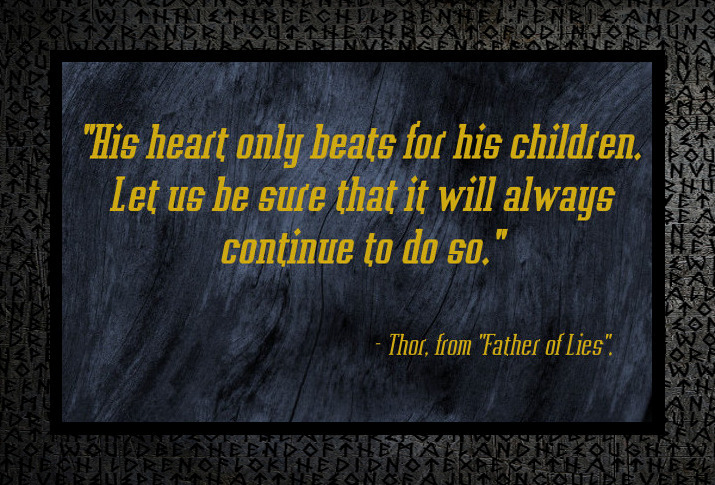 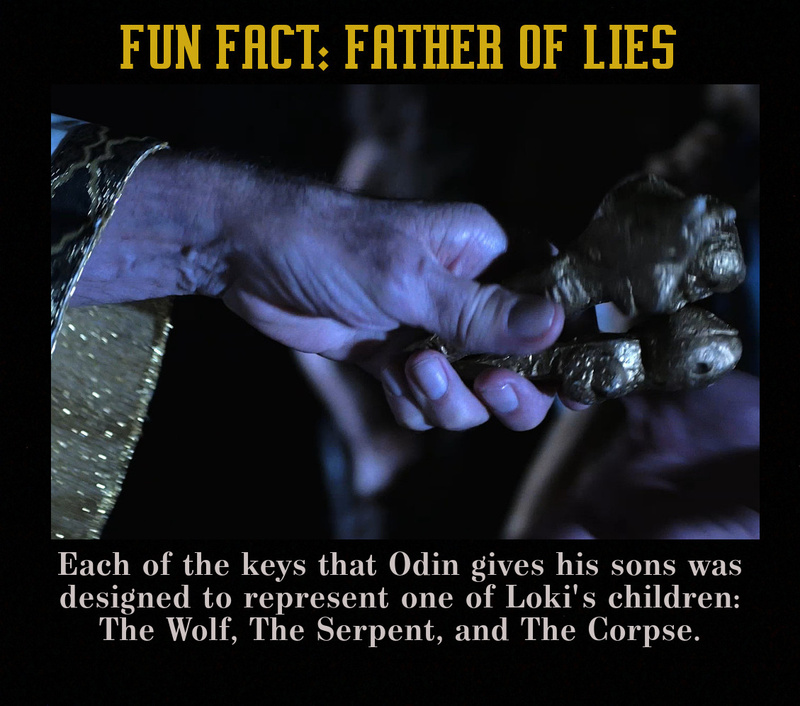 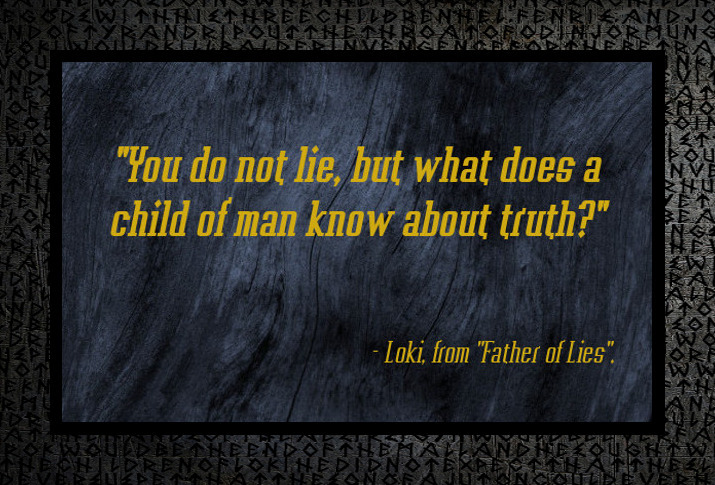 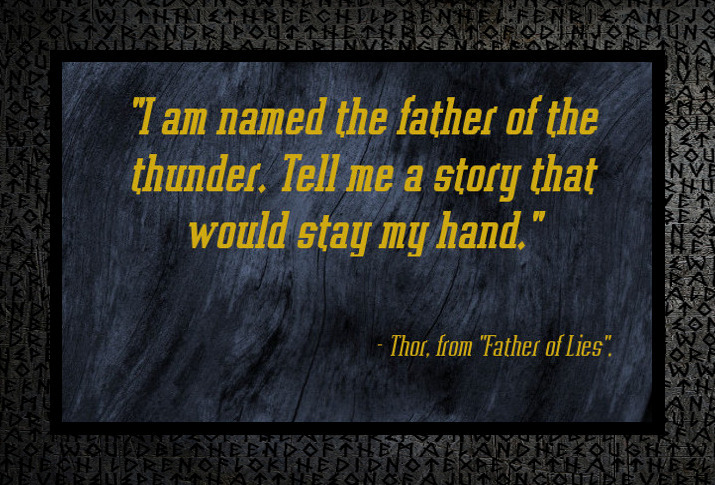 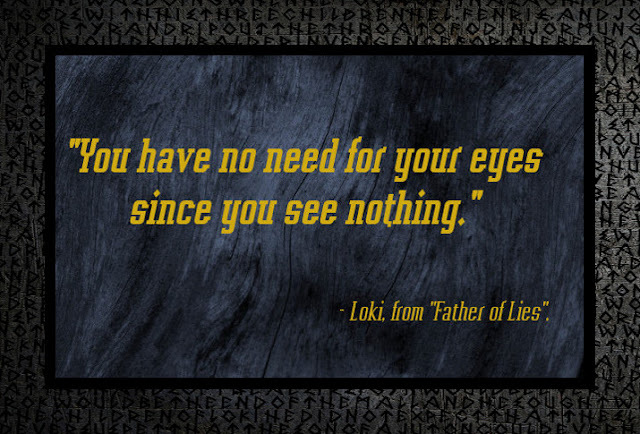 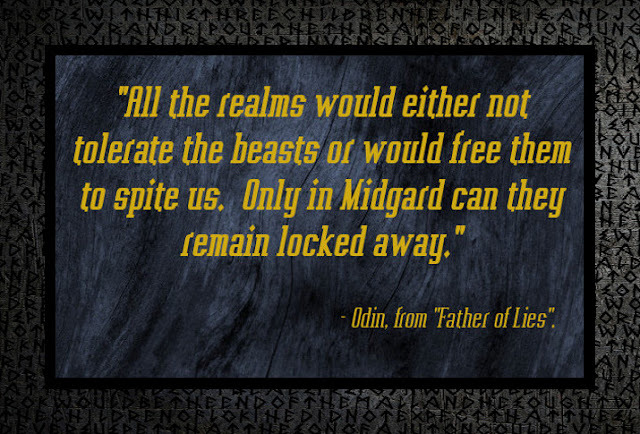 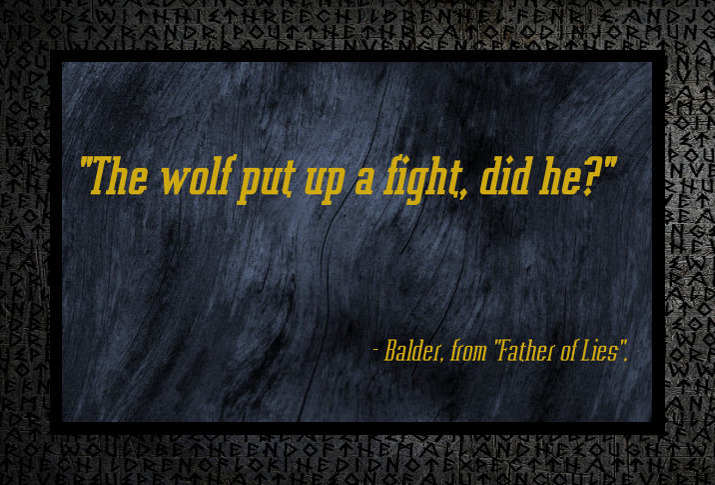 Odin's most beloved son was brought up believing that nothing could harm him. 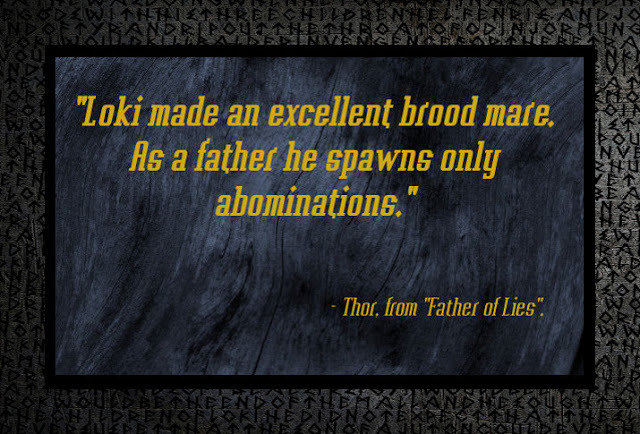 However, not even his fierce brothers can protect him from the wrath of a vengeful god. 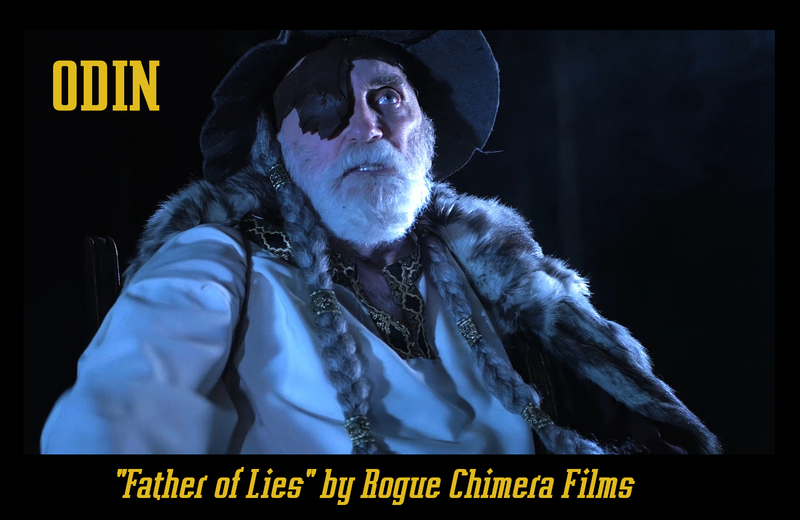 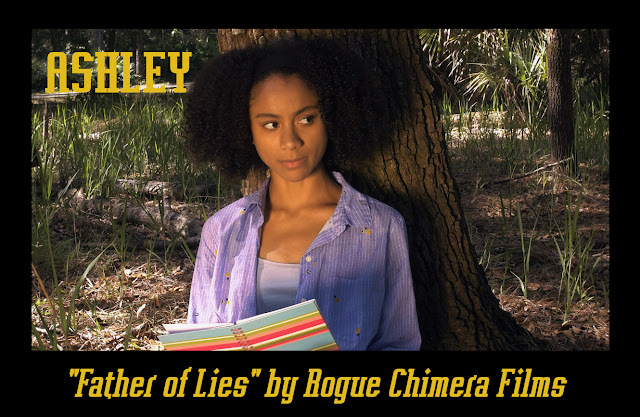 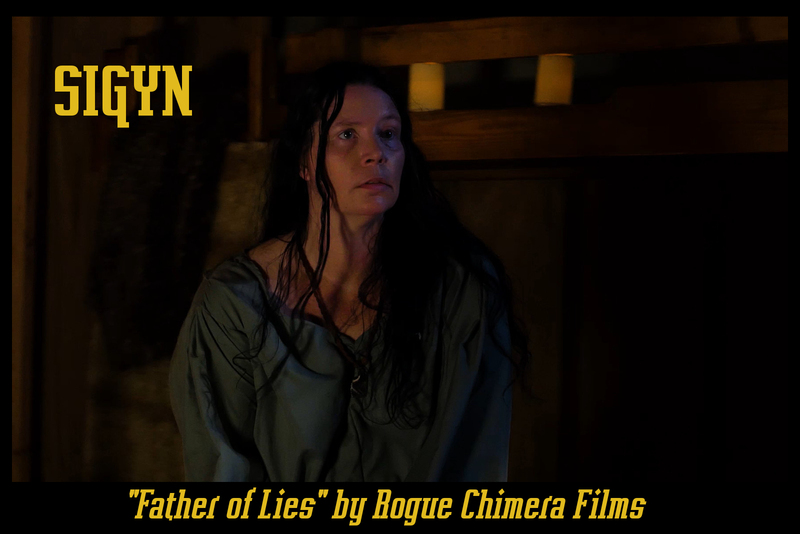 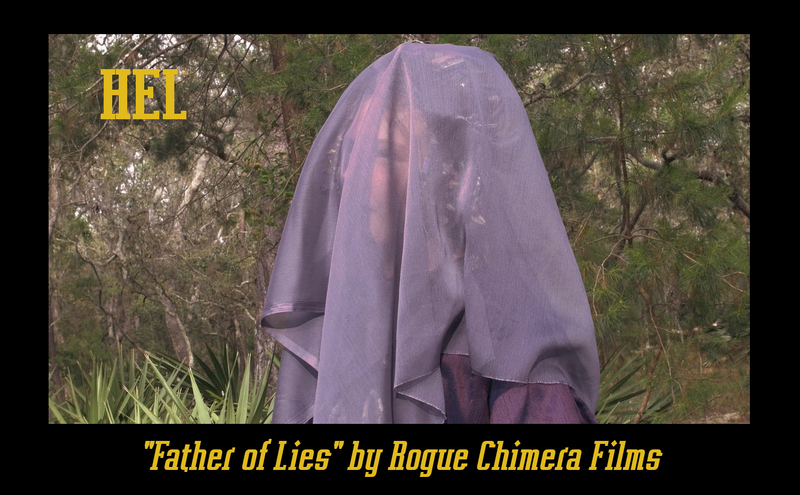 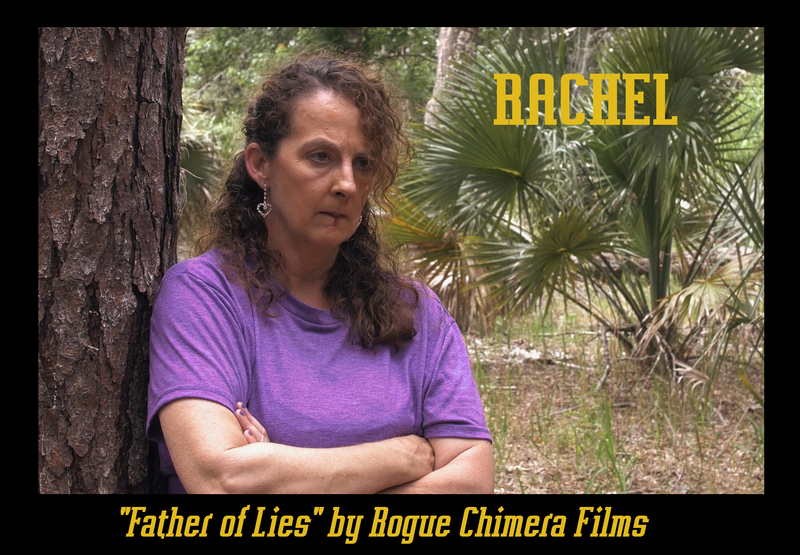 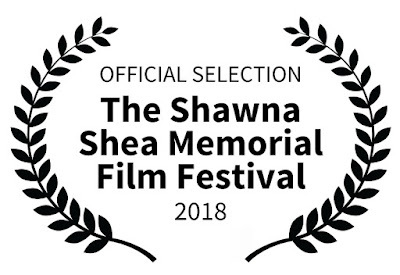 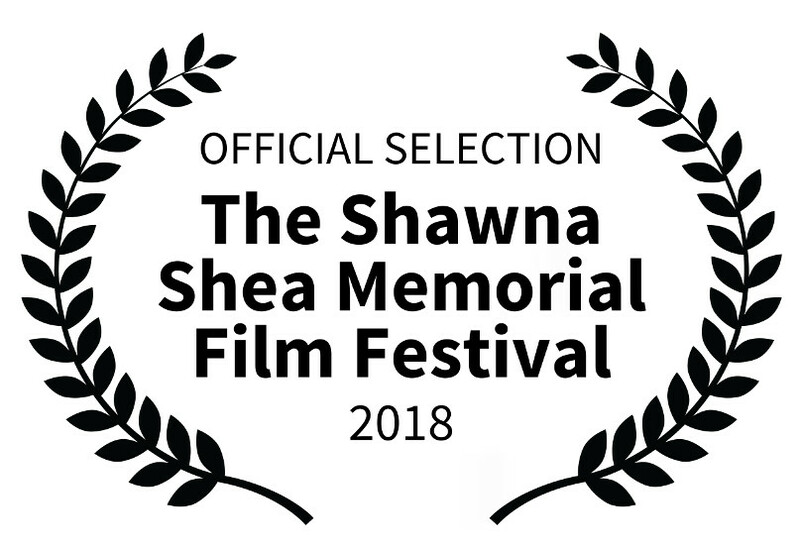 "Father of Lies" will have its first festival screening at the Shawna Shea Film Festival in October. 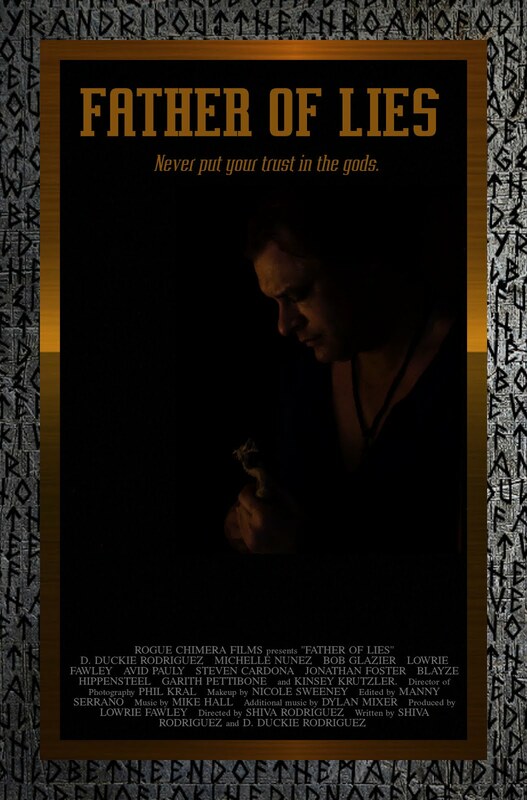 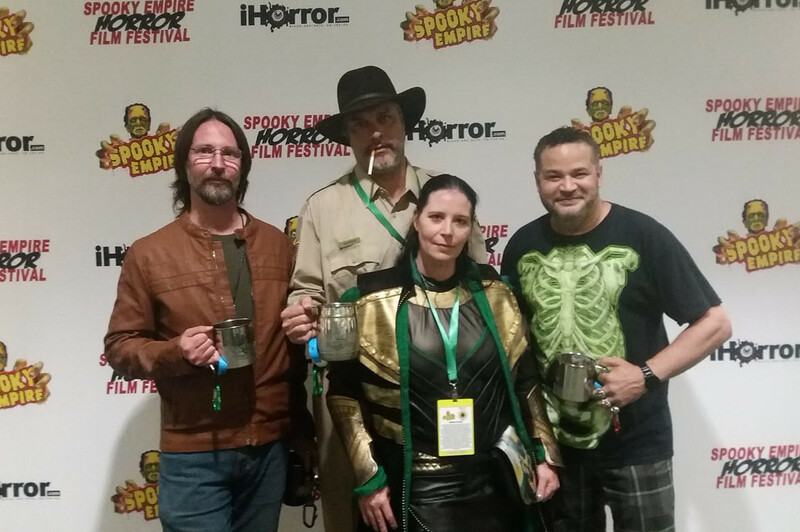 Screening date, time, and location will be announced as soon as the schedule is made available. This college professor may know a lot about unusual flora, but there are far more dangerous things lurking in these woods. Cunning and deceitful, Rachel thinks she can claw her way up the social ladder on the back of an ambitious college professor. 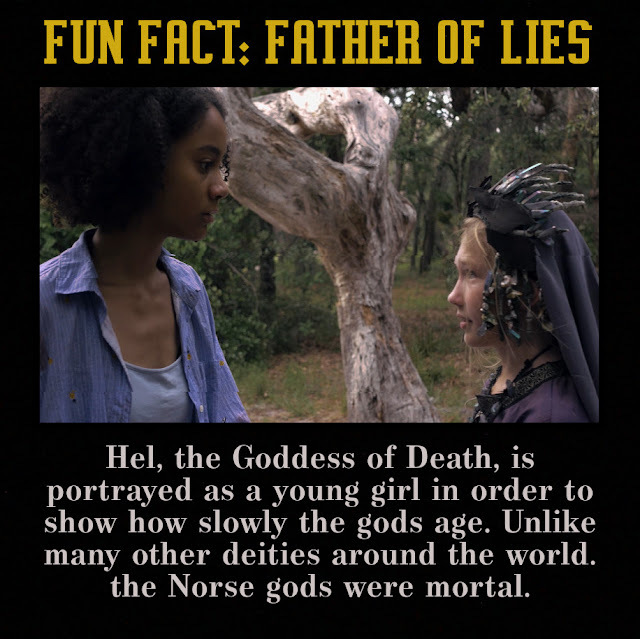 Unfortunately for her, she's about to meet her match! 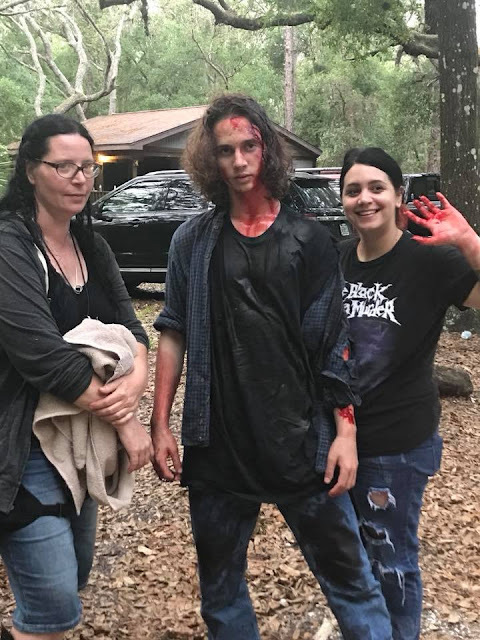 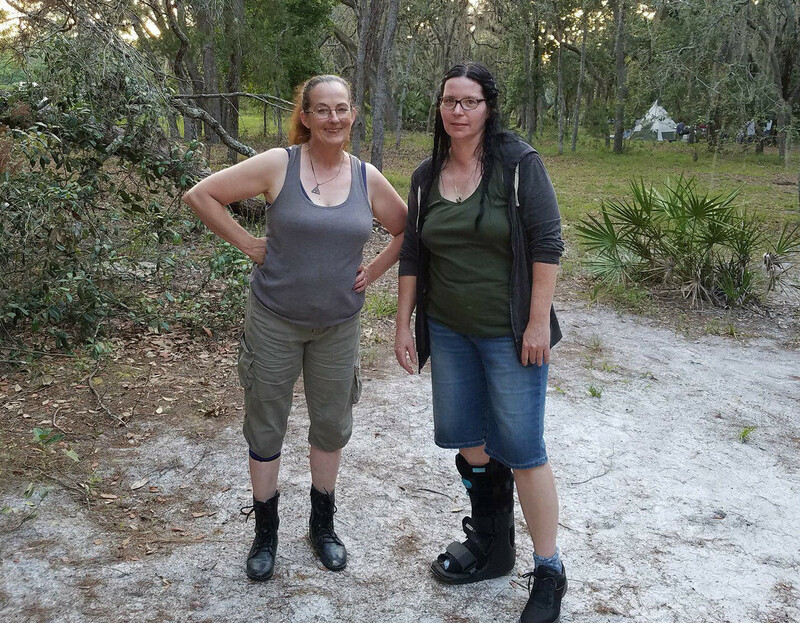 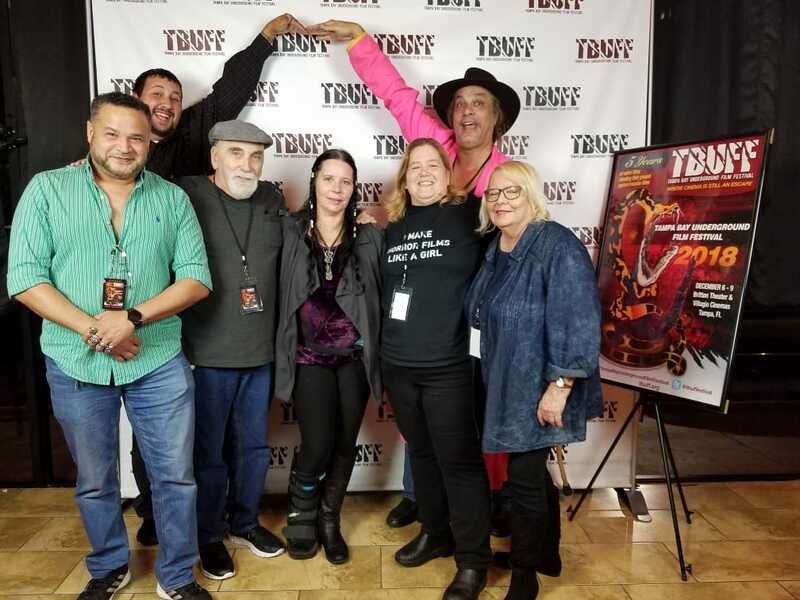 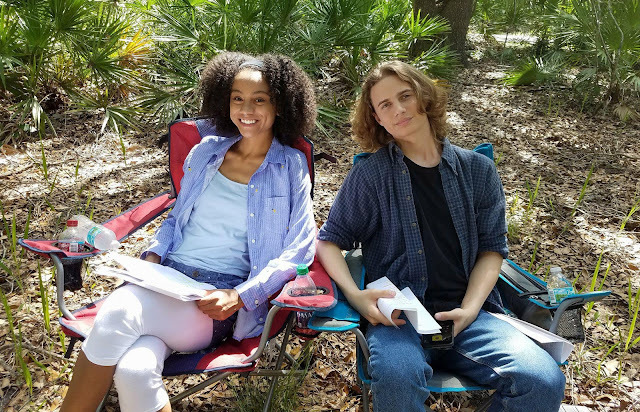 Producer Lowrie Fawley and Director Shiva Rodriguez on the set of "Father of Lies" in May 2018. 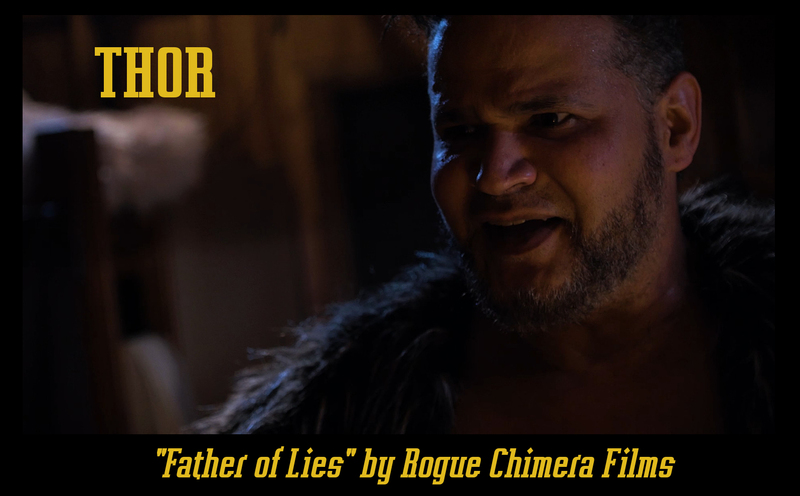 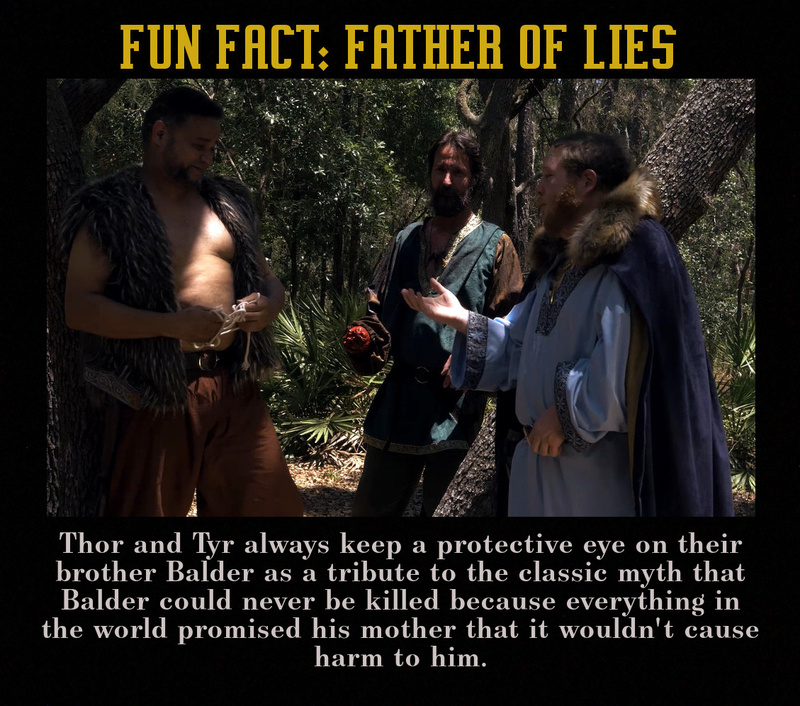 Steven Cardona ("Thor") and Shiva Rodriguez ("Sigyn") have some difficulty with timing while filming a fight scene in "Father of Lies". Special effects department having a lot of fun with a bitten-off hand gag on Garith Pettibone ("Tyr"). D. Duckie Rodriguez ("Loki") attempts to sing a few lines from the Poetic Edda in the original language for audio on "Father of Lies"
Actors/Stuntpeople D. Duckie Rodriguez ("Loki"), Shiva Rodriguez ("Sigyn"), and Garith Pettibone ("Tyr") take a break from beating each other up on the set of "Father of Lies". 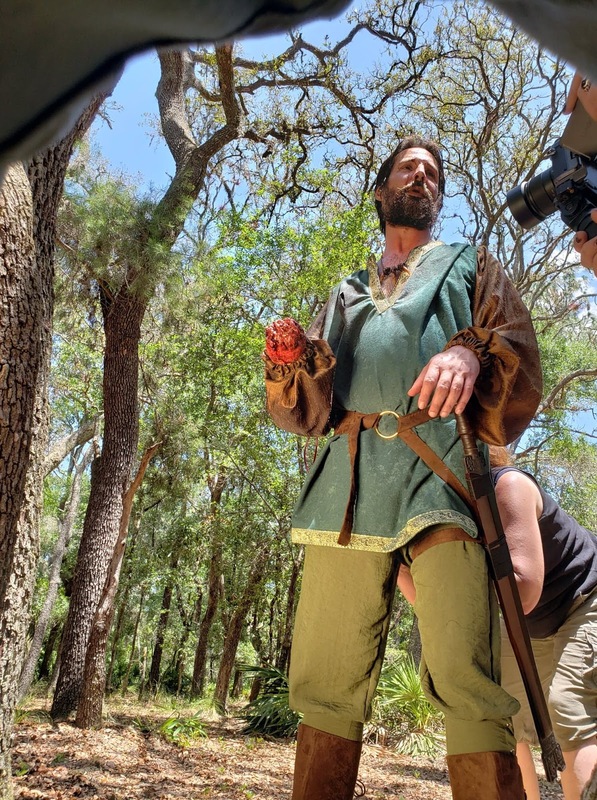 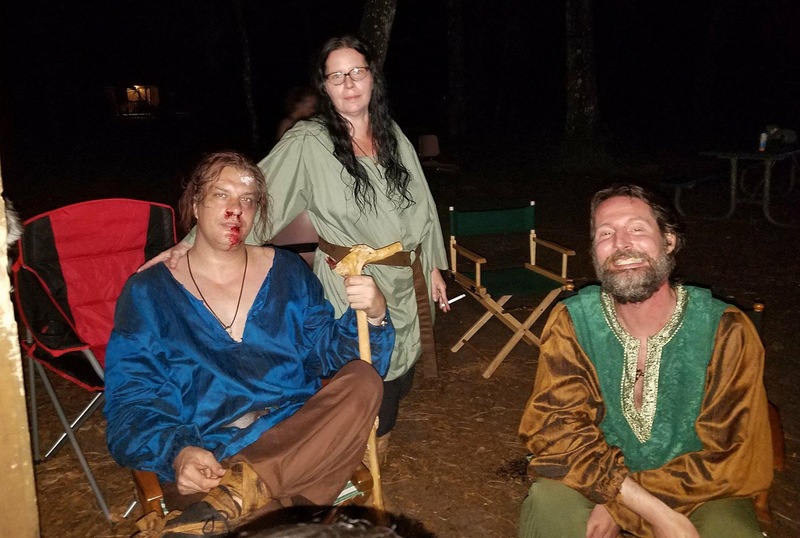 Some out-takes from behind-the-scenes of a fight scene. 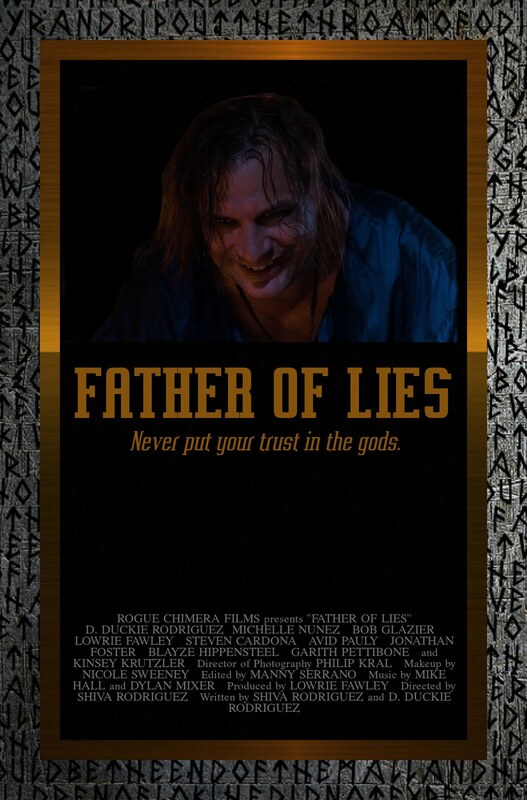 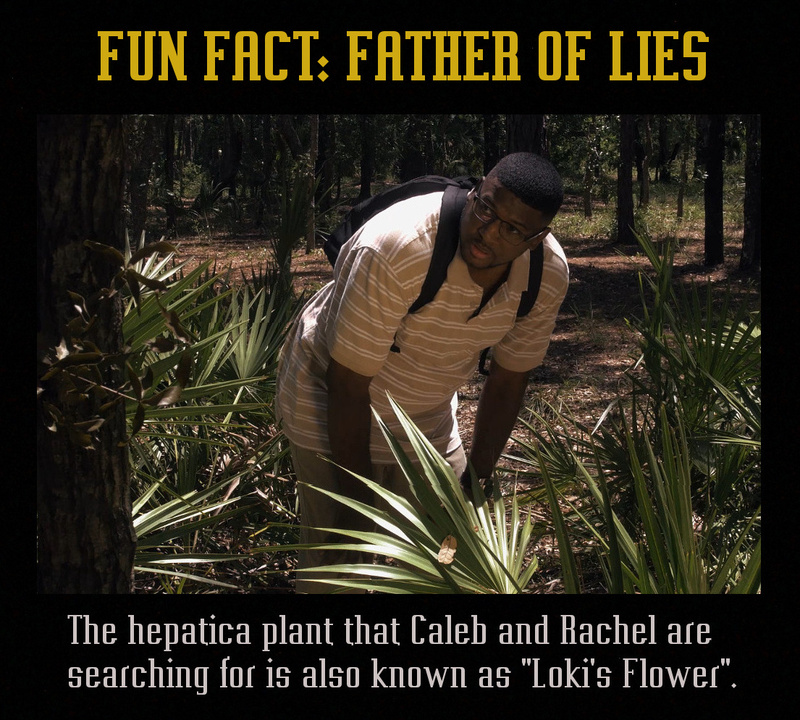 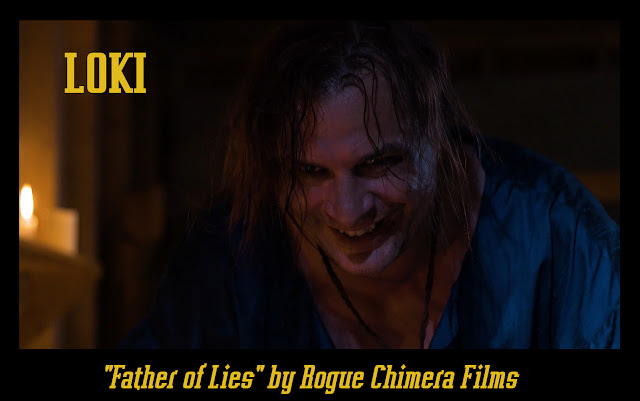 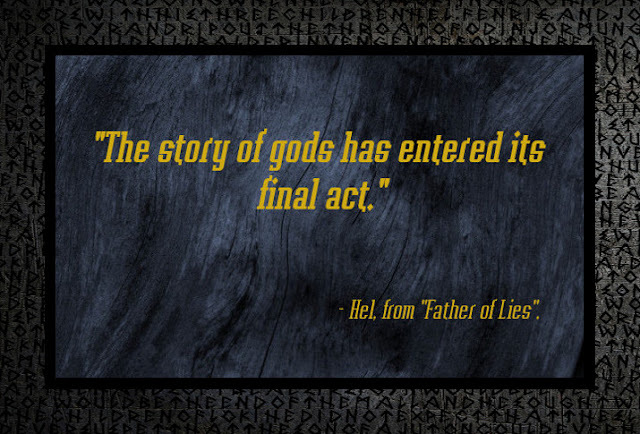 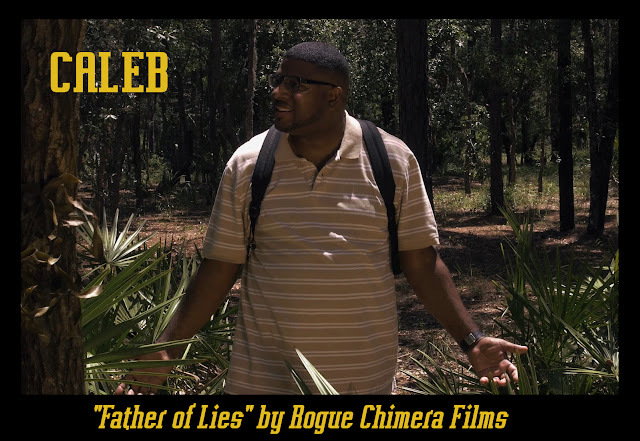 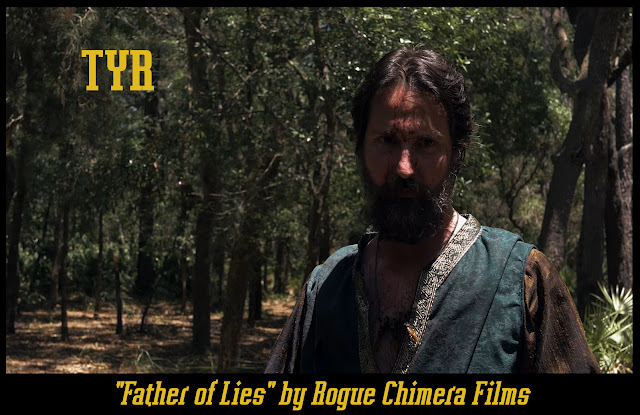 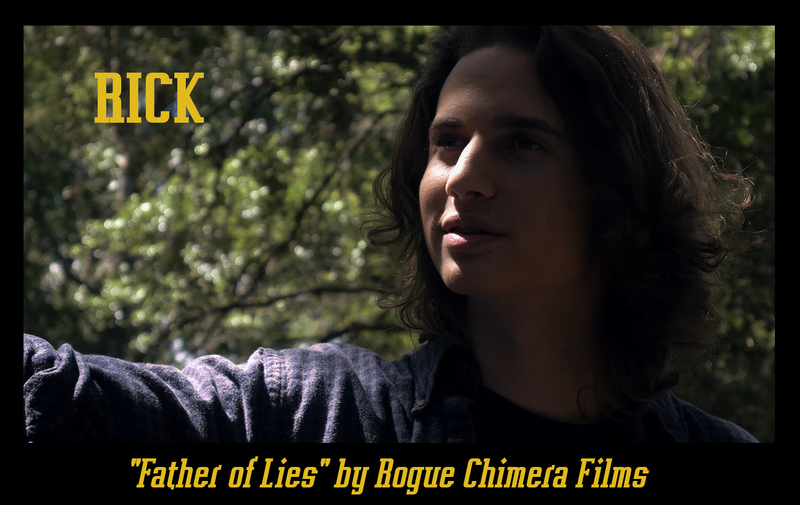 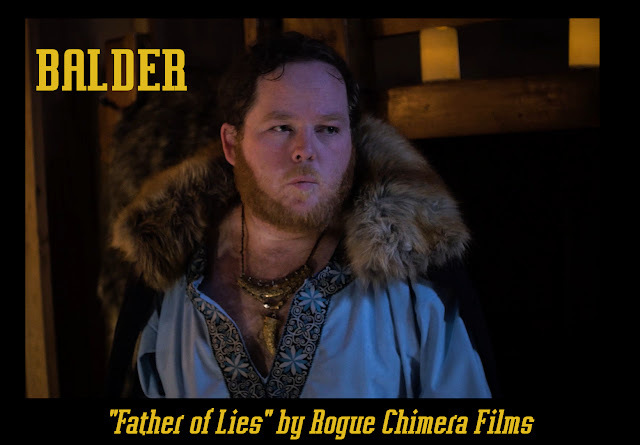 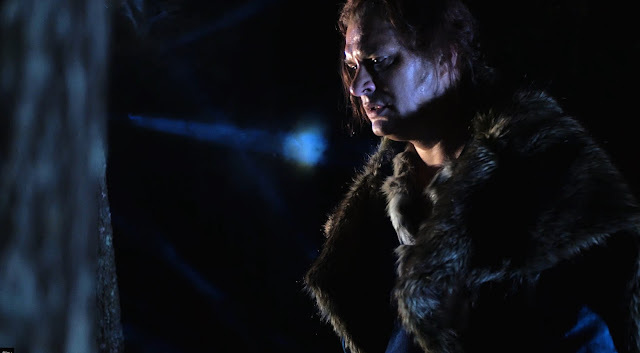 "Father of Lies" was filmed in early May 2018. 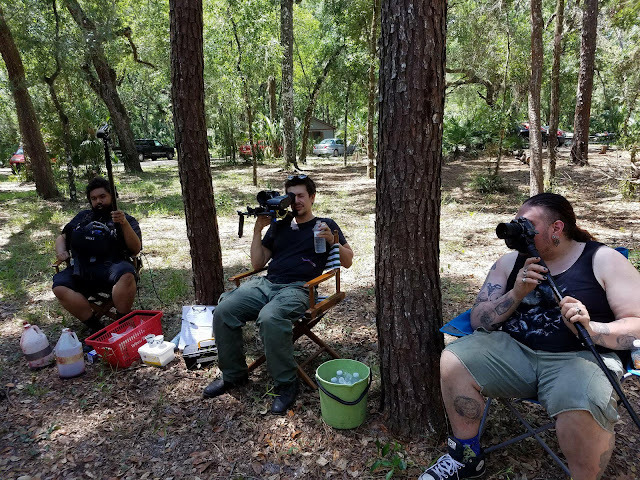 Brian Neris (audio), Phil Kral (director of photography), and Manny Serrano (camera) take a break from the Florida heat while filming "Father of Lies". Actors Michelle Nunez ("Ashley") and Blayze Hippensteel ("Rick") chill out on the set of "Father of Lies". We don't hear of her much nowadays, as Loki has become known as a handsome villain (or anti-hero) that doesn't seem to do well in relationships. 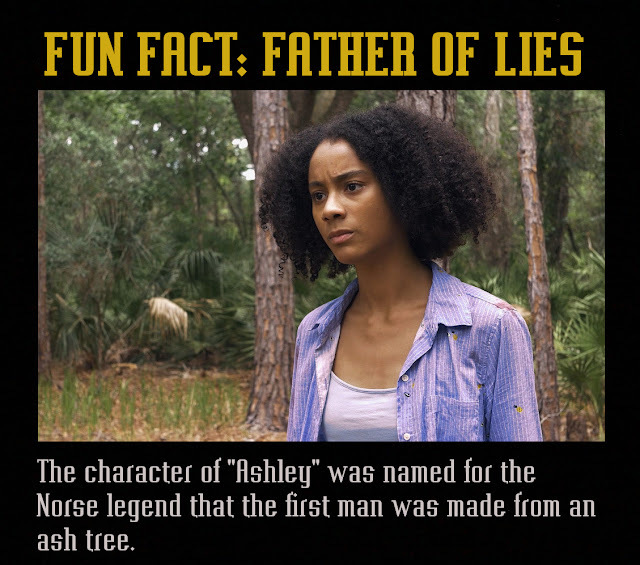 When she is mentioned in contemporary books, it's often as a woman who fawns all over her husband and gets to be quite annoying. 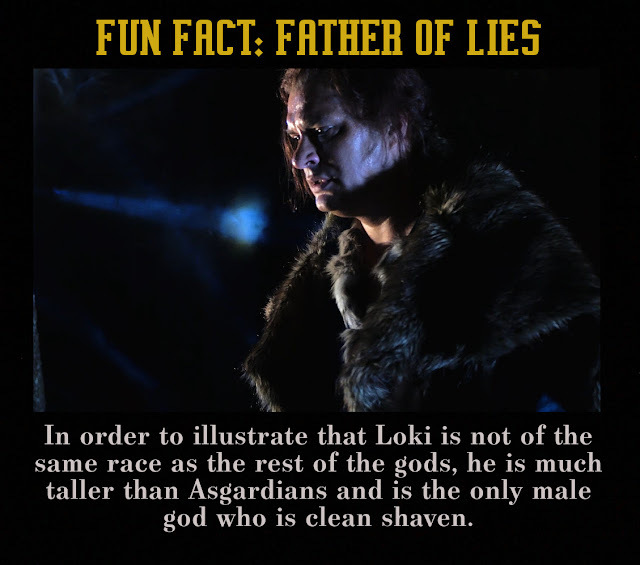 But what kind of woman would be married to the likes of Loki? The old myths always portray Sigyn as being completely devoted to Loki, being the only one of the AEsir who was so obviously in love with the Jotunn among them. But she was an AEsir, and that would hardly make her a delicate little flower. 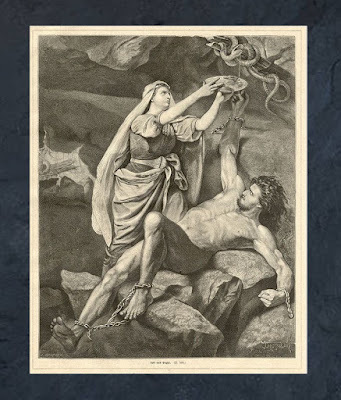 While some tales claim that Loki wasn't the greatest husband in the world, how would he really feel about a woman who accepted him for who he was and made such great efforts to comfort him in his times of need? 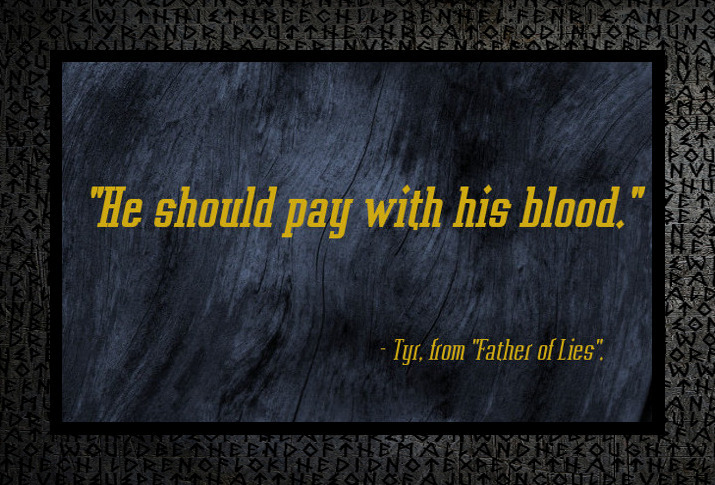 Tyr, the God of War. 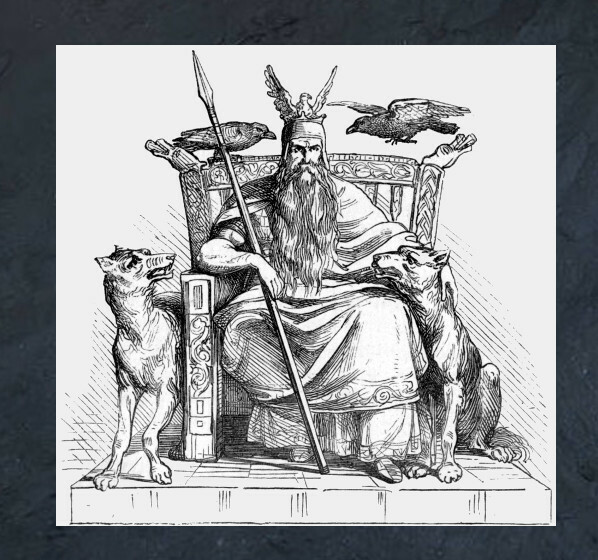 He is often over-looked in modern times while Odin is now credited for being the wise warrior. When he is mentioned, it's usually as being the great hero who goes into battle on the side of all that is good. But what would a god of war really be like? A being whose chief purpose is to indulge in wholesale slaughter couldn't possibly be too pleasant to be around. 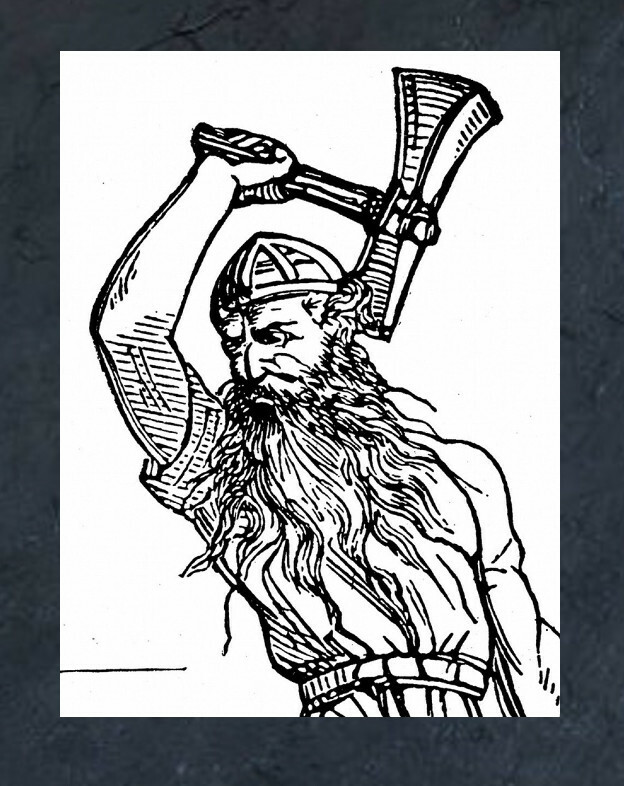 Even losing his right hand didn't stop him from indulging in his favorite activity. 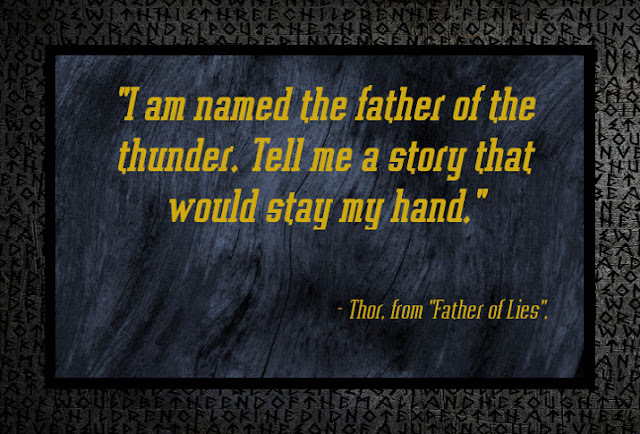 Thor, the famous God of Thunder. Nowadays when his name is mentioned it brings up images of a handsome blonde man with shining armor, a magical hammer, and a tendency to be a hero and protect mankind. 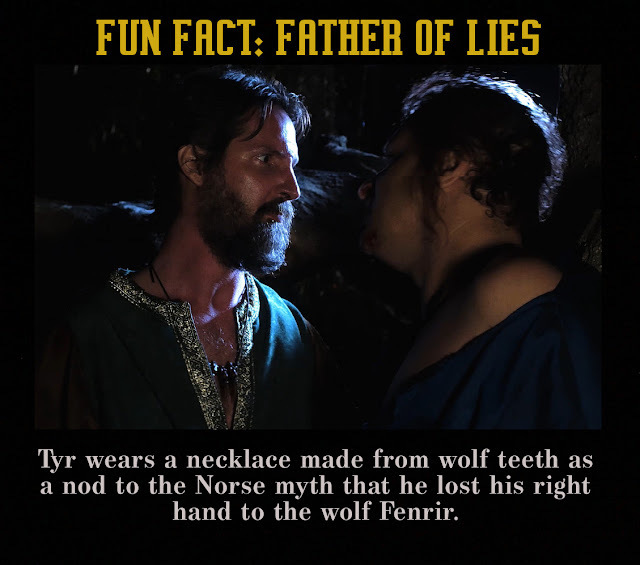 But that's not how people saw him back in the day. 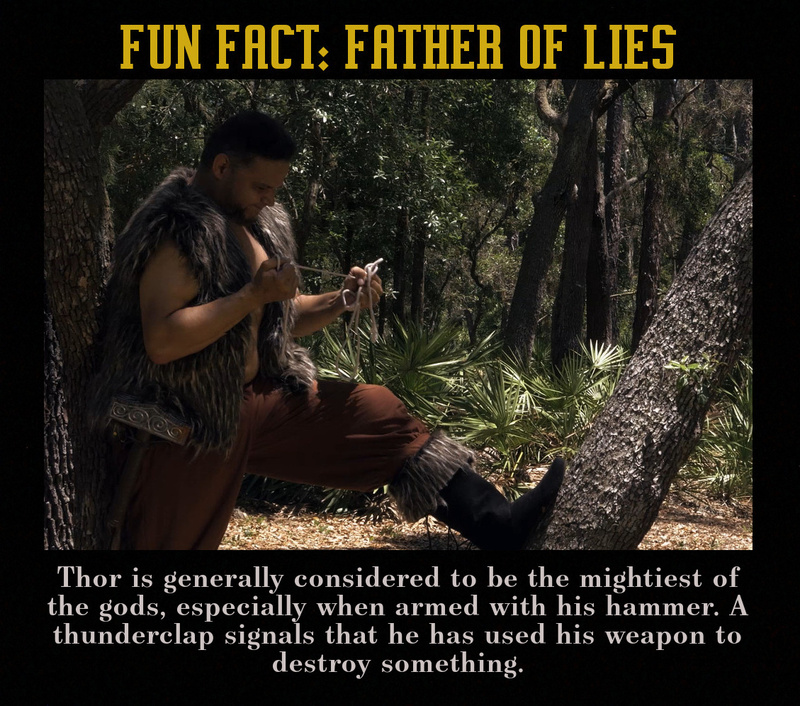 The Thunderer was quite fearsome and always ready to pound the someone to a pulp with his hammer and ask questions later. 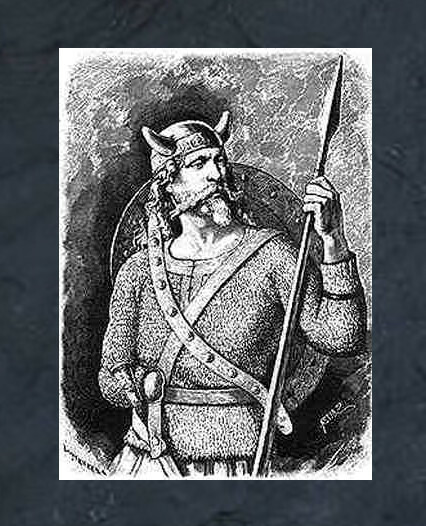 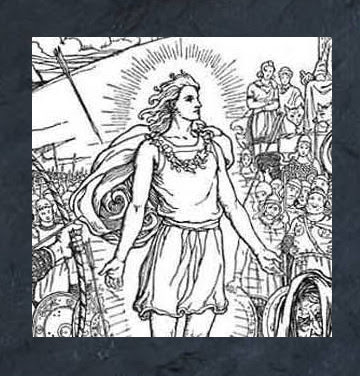 Found of mead, food, women, and fighting, this brute of a god was a very far cry from how people think of him today.